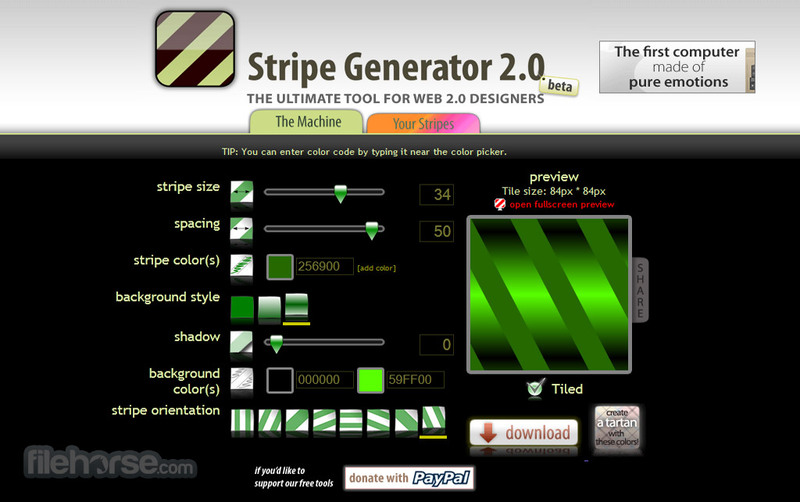 Stripe Generator is very popular and lightweight generators of any kind of stripes you can imagine. Sizes, spacing, colors, background styles, background colors, gradients, shadows, and many other elements can be tweaked to perfectly suit your needs. 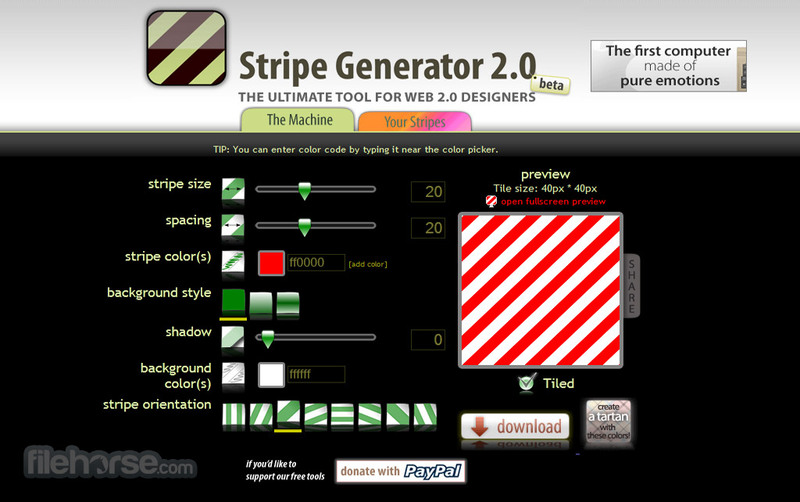 Creating stripes for yourself is absolutely free and available to everyone, but sharing your stripes with other users and seeing their work requires registration. Unleash your personal style, experiment and download the tile. Tired of pixel-by-pixel painting, trying to create seamless stripes textures? You can use it directly in your css file or as pattern in Photoshop®! 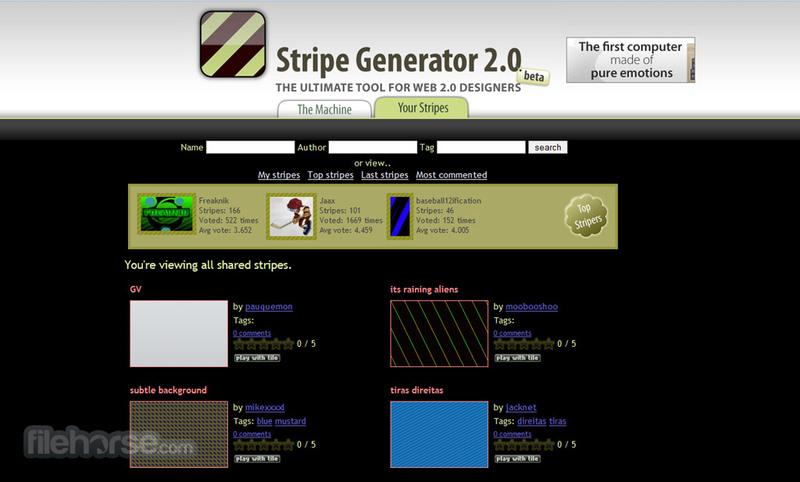 Show us how cool is your stripe-design!